Tuula Antola is Director for Business and Economic Development at the City of Espoo. She is an engineer and innovation activist inspired by people, with experience as an entrepreneur, headhunter and environmental management consultant. An ambitious partnership project announced in May by the energy companies St1 and Fortum marked a leap forward in meeting the climate goals set by Prime Minister Sipilä’s new government. One of the goals of the new government programme is to raise the share of emission-free, renewable energy to more than 50 per cent during the 2020s, by replacing imported fossil-fuel-based energy with a clean and renewable domestic source. Probe drilling for Finland’s first geothermal heat plant project, Deep Heat, has begun in Otaniemi, Espoo. The aim is to complete the actual production plant in 2016. Two heat wells, each approximately the width of the average bucket and running seven kilometres deep, will serve as the energy source for this industrial-scale plant. Since no fuels are used in geothermal heat production, the plant will release no emissions into the atmosphere. 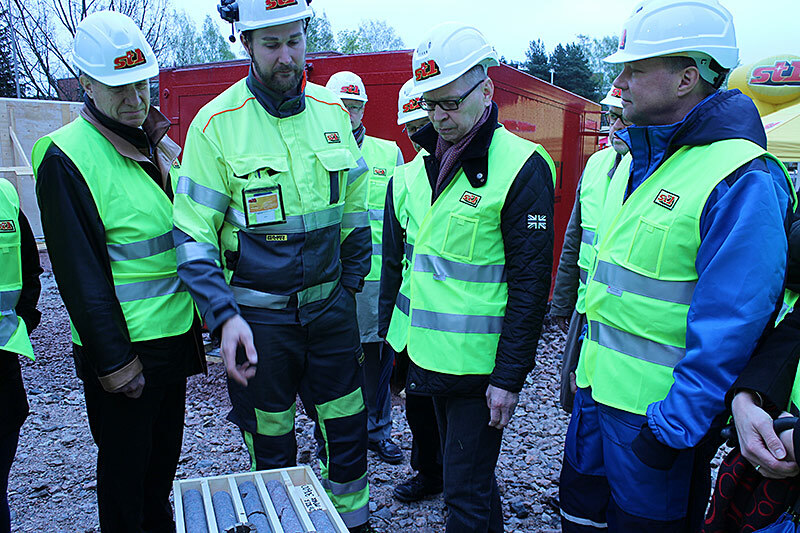 The probe holes will also create new research opportunities – this is why the Geological Survey of Finland is participating in the project from its pilot stage. The goal for the Otaniemi plant is to produce up to 40 megawatts of geothermal heat energy. Based on this output, Fortum can cover as much as 10 per cent of the district heat needs within the Espoo region. The brand new government programme challenges cities, companies and research institutes to find solutions for making a 20 per cent leap in the use of renewable energy in order to achieve Finland’s climate goals. In Finland, clean geothermal heat is a highly attractive option in the switch to emission-free heat production. Such a new heat source would work perfectly in the Helsinki Metropolitan Area, for example. The Otaniemi geothermal energy project is an excellent example of the ambitious research, development and innovation across organisational boundaries that Finland needs. Other recent, positive steps towards sustainability include a heat pump facility already up and running in Finnoo, Espoo, which produces district heat while reducing the related coal consumption by 150,000 tonnes a year. Another is VTT’s bioeconomy piloting centre in Kivenlahti, Espoo, which is creating new sustainable innovations and jobs. More good news lies in the progress made by the Smart & Clean partnership project launched by the cities of Helsinki, Espoo and Vantaa. This collaboration is aimed at making the metropolitan area into an even more attractive investment target and creating prerequisites for new, sustainable businesses and jobs. Climate policy forms an integral part of enterprise and industrial policy. Smart cities will create markets worth 1.5 trillion euros by 2020. We will be making the Helsinki Metropolitan area into a test platform to showcase the best of these solutions.